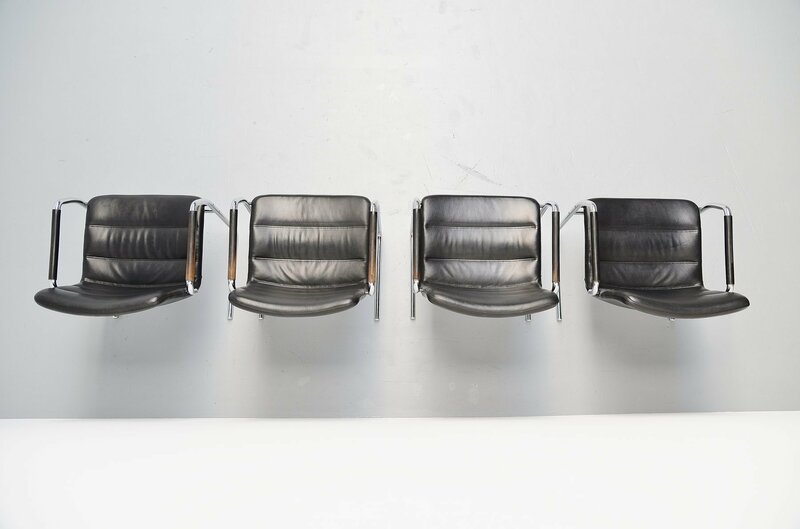 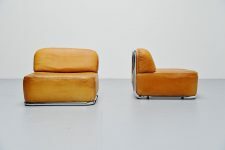 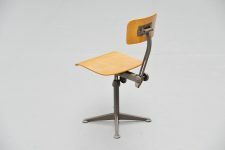 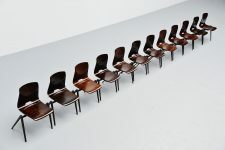 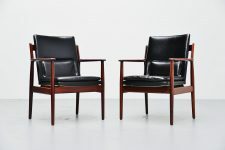 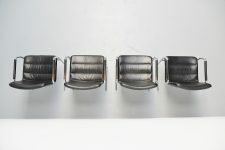 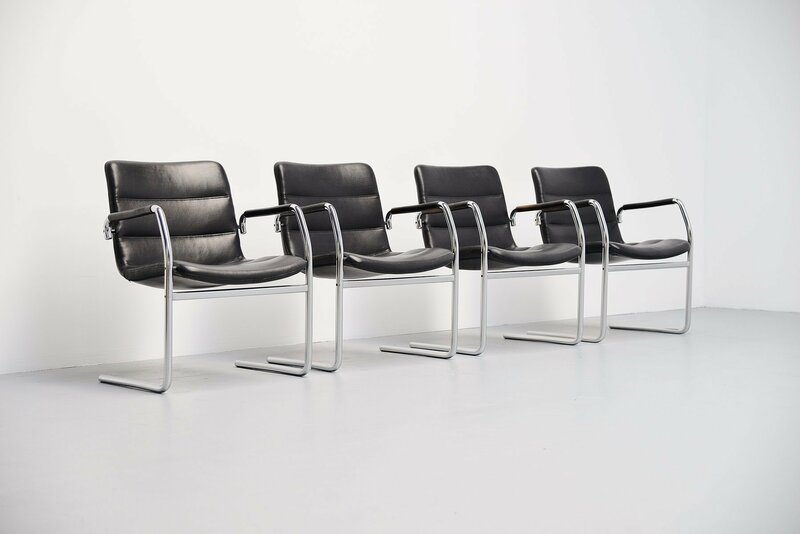 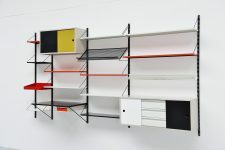 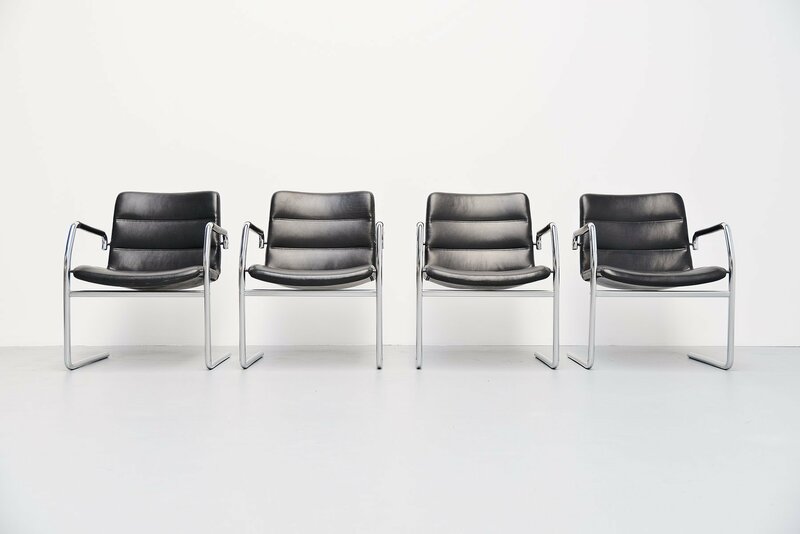 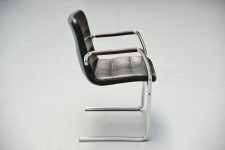 Very nice set of 4 quality chairs designed by Jorgen Kastholm for Kusch & Co, Germany 1970. 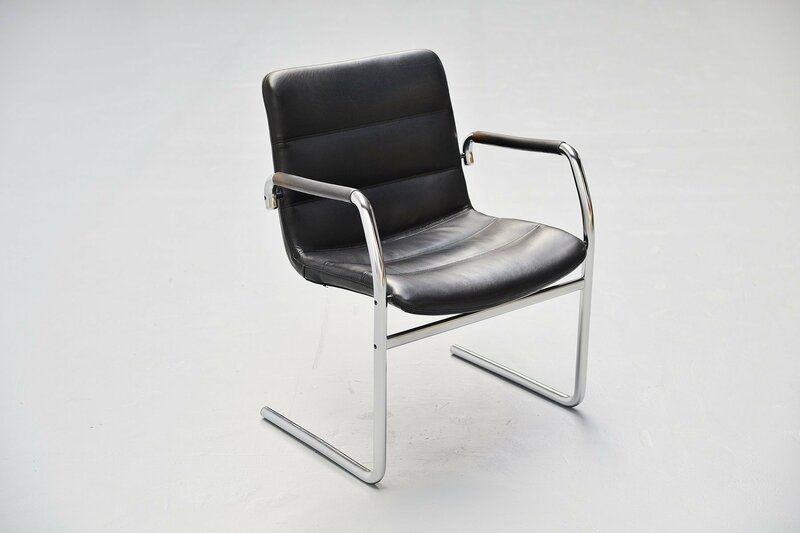 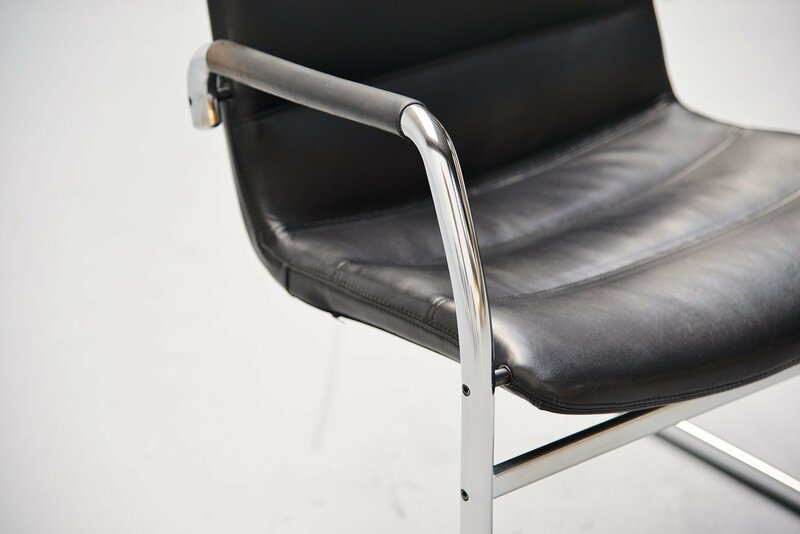 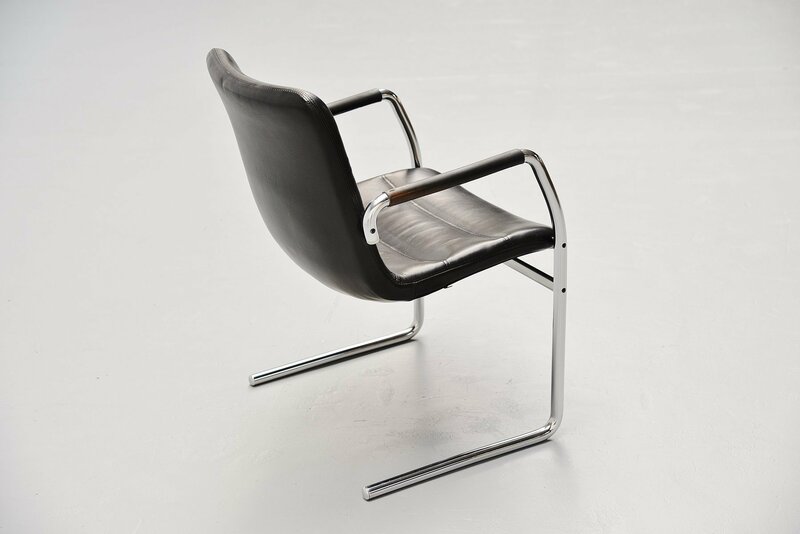 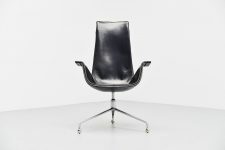 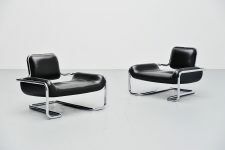 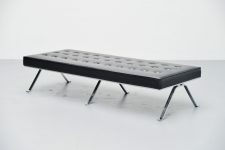 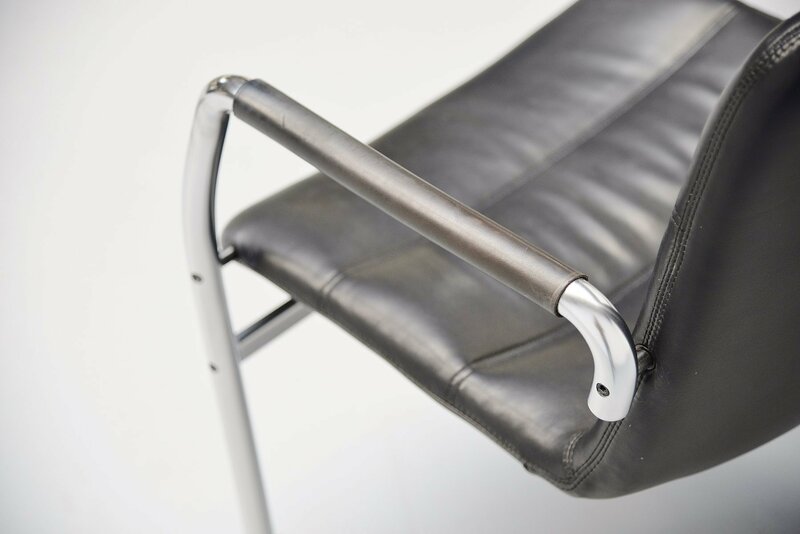 These chairs have a heavy tubular brushed steel frame and quality black leather seat and armrest covers. 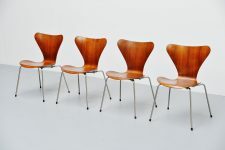 The chairs are in fantastic original condition where only the armrests show some fading but the patina is very nice on these chairs, fits the age. 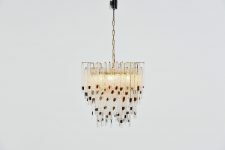 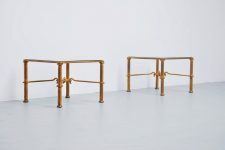 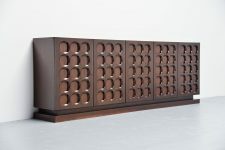 The chairs are very comfortable and would look nice around a conference table for example.